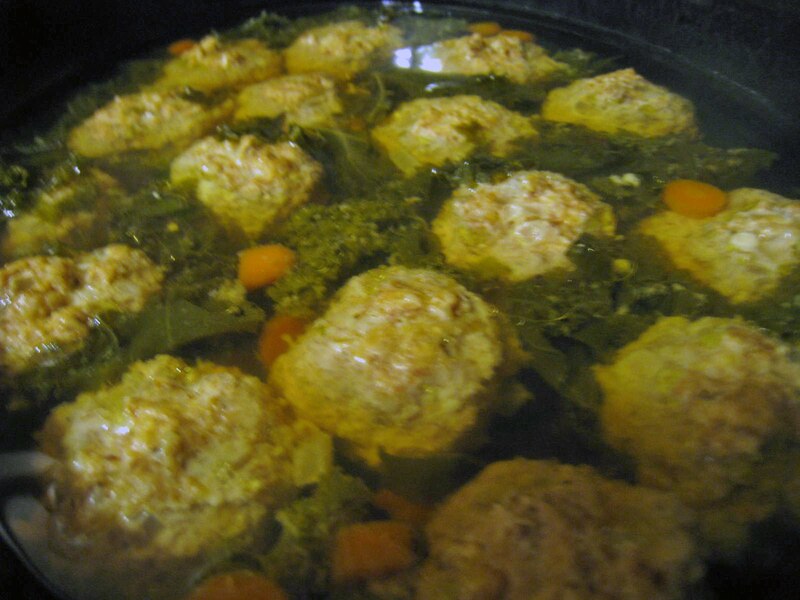 I have been wanting to make a soup similiar to Italian Wedding soup but saw this recipe in my Box ‘o recipes.…you know the stack of recipes you’ve ripped out of magazines to make one day! Well, I’m slowly getting through that box and definitely enjoying the recipes I’ve been saving for over 2 years! This was one of them and it didn’t disappoint! I learned a few things from making this soup. The book features 125 easy recipes using your slow cooker that would usually needs lots of babysitting – but using your slow cooker, they take no time at all to prepare or worry about! In a 3 quart or larger slow cooker, combine the carrots and chicken broth. Stir in the kale. Cover and cook on low for 4 hours. In a medium bowl, combine the turkey, onion, eggs, bread crumbs, cheese, salt and pepper. Mix well and shape into 1/2 to 1 inch meatballs. Carefully place the meatballs into the soup. Cover and cook on low for 4 more hours or until meatballs and vegetables are cooked through. Serve hot, sprinkled with addtional grated parmesan cheese.